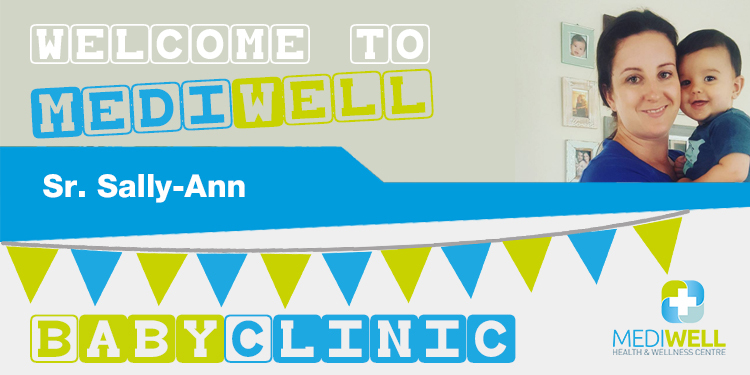 Mediwell’s Baby Clinic has just opened its doors, and we are very excited! Please join us in welcoming a brand new addition to our team: Sister Sally-Ann, our Baby Clinic sister. Sister Sally has vast experience with looking after moms from the moment they give birth to their precious ones. She is a seasoned lactation consult, and passionate about all aspects of early childhood health and development. Sally-Ann gives various workshops and seminars to new moms which are interactive and practical, so please be sure to keep an eye on our Facebook page for any events in the neat future. She herself is blessed with 3 children: a 5, 3 and 1 year old, so she is well versed in the language of parenthood. If you would like to book a session with her, at our Baby Clinic at Mediwell Dainfern, please feel free to book via our bookings page, call us on 011 300 2900/1/2 or book an appointment via WhatsApp on 078 982 7284.